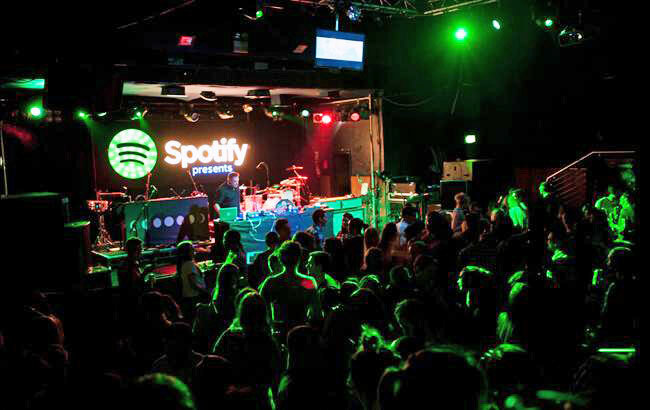 Advertisers wanting to align their campaigns with bands and artists should ensure that their "ethos" fits the music, or their partnerships will lack "authenticity", according to senior execs from Spotify and the music industry at Advertising Week Europe 2014. Chris Maples, Spotify vice-president of Europe who was hosting a panel session, said. "There has to be a degree of authenticity. You can’t have brand 'X' badgering band 'Y'." The panellists discussed how the music industry had suffered economically in recent years – not least due to the shift from physical to digital formats – which meant greater opportunities for brands to fund bands. David Everitt, radio presenter and producer for BBC 6 Music and Radio 2, said: "Brands can help fund artists’ existences and because of that they are more open to stuff. Brands will actively seek out people they like. The more formats, the more platforms, the better." Maples was also joined on stage by Jon Wilkins, executive chairman of creative agency Karmarama; Will Hope, director of label relations at Spotify; Jack Milligan, head of branded experiences Europe at Spotify, and Charles Fitzgerald, head of artist partnerships at independent record label PIAS. According to Hope, whereas a decade ago, artist and brand collaborations tended to take part on more of an ad hoc basis, tie-ups today have become more sophisticated. The panel cited a number of examples of brand/band tie-ups that did not especially gel, as well as those that had proven potentially disastrous. They included a Doritos-funded Lady Gaga concert during which she was showered with puke by a "vomit artist" as part of the act. Wilkins said: "I loosely get how it ties in with the brand, but when someone goes and pukes coloured milk onstage, when you’re marketing foodstuffs, I’m not 100% sure how that works. It’s down to empathy and the proximity of the relationship." Fitzgerald said it was vital that the relationship between brands and bands was authentic, otherwise "fans can see straight through it". He cited Swedish House Mafia’s association with Absolut Vodka – which saw the relationship extend backstage, behind the scenes – as a partnership that was suitably authentic. But Spotify’s Hope admitted that "some artists are not interested, they just want to make music". Meanwhile, Maples hinted that brands should be spending more on music as part of their marketing mix, citing research that found while 78% of brand managers felt that music should be a key part of their campaigns, they spent less than 5% of their budgets on it.